As an ever-expanding department, we are excited to welcome our newest member of the team; Chrissy Boulton. 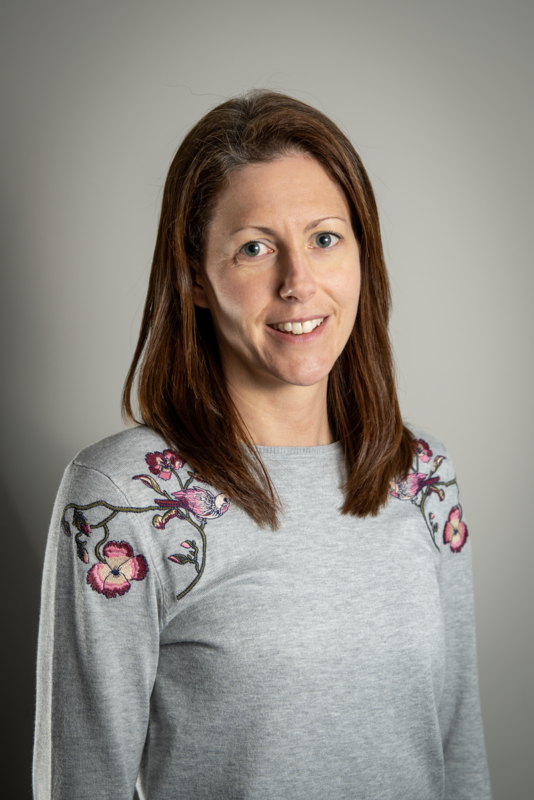 Chrissy has joined us as a Graduate Scheme Development Coordinator, supporting the development of an innovative new graduate programme scheme being piloted by the University of Reading, which will be aimed at supporting companies within Reading and the Thames Valley. The scheme is being developed and delivered in collaboration with our partners at Hireserve, a locally based SME and a company we have formerly collaborated with in the Knowledge Transfer Centre. Chrissy will play an essential role in supporting development of the pilot, and is a very welcome new member to the KTC family. just IMAGINE if… has had one mission from the beginning: to identify and help develop extraordinary ideas. Companies, partnerships, not-for-profit organisations or individuals with an extraordinary idea that could help alleviate one of the UN’s 17 Sustainable Development Goals but need research input to help it grow were able to apply. After viewing hundreds of excellent entries, the panel narrowed it down to ten amazing finalists. We were lucky enough to attend the final on Thursday 28th Feb, and listened to amazing talks from the likes of Brompton MD Will Butler-Adams, former Dragon Piers Linney, and Apprentice season 5 winner Yasmina Siadatan to name a few, with the event chaired by the brilliant Seven Hills co-founder Michael Hayman. After enjoying the outstanding pitches from the ten budding entrepreneurs, we are excited to announce that after a vote from all the attendees, the winner is ALEXANDER WANKEL. Alexander showcased his idea of tapping into Peru’s native crops and helping to support local smallholder farmers, creating plant-based milks made with climate smart Andean grains and quinoa called ‘MilQ’. 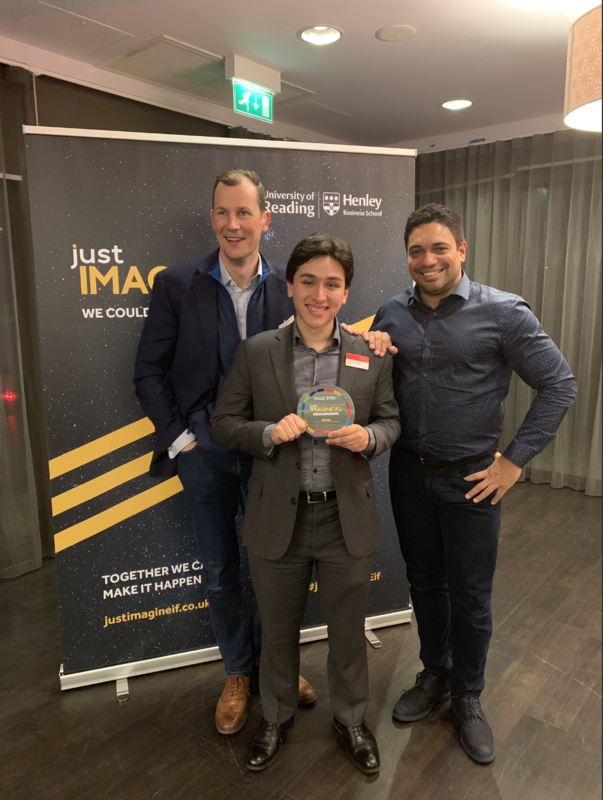 We want to extend a HUGE congratulations to Alexander for winning the competition, but we’re confident that all of the finalists will get support in developing their ideas by either a collaboration with us or one of the other incredible businessmen and women who attended the event. You can see Alexander’s submission video and those of the other nine finalists here. just IMAGINE if… is to return next year, so keep your eyes open for details on how to apply towards the end of 2019. In the meantime should you have a product or service you need support developing, we welcome anyone to get in touch with the Knowledge Transfer Centre to discuss how we may be able to help you shape your future. The Knowledge Transfer Centre specialises in collaborating with all kinds of people and businesses in order to help create a positive national and global impact. We welcome anyone to get in contact with the KTC and, although we may not always be able to help directly, we are generally able to at least provide some support and guidance. In many cases we know exactly how we can help, and can work alongside your business with a project that helps develop your product or service. We can source the right Academic support, assist with funding applications, and help bring your product or service to market. An excellent example of this is the partnership we had with Wantage based tech company; Aircharge. 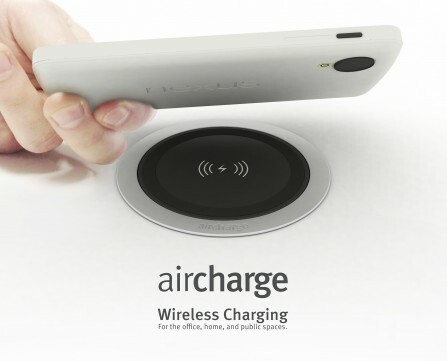 Aircharge, or CMS, first came to us in 2015 looking to develop their wireless charging software. We soon established a Knowledge Transfer Partnership which completed in 2018, and Aircharge have continued to grow as a business since then. You can read more about the project here. The company’s success has drawn inevitable interest from the media, so it was fantastic to see that Sky News invited Aircharge Founder and Chief Executive Steve Liquorish in to talk about the business, who even mentioned the partnership with the University of Reading. You can watch the full interview right here. This partnership received financial support from the Knowledge Transfer Partnerships (KTP) programme . KTP aims to help businesses to improve their competitiveness and productivity through the better use of knowledge, technology and skills that reside within the UK knowledge base. This successful Knowledge Transfer Partnership project, funded by UK Research and Innovation through Innovate UK, is part of the government’s Industrial Strategy. If your business has a product or service that could benefit from a KTP, contact us today to discuss the opportunities available to you in more detail. We are currently looking for a talented Business Relationship Manager to join our fast-paced professional team supporting collaborations with external partners. The Knowledge Transfer Centre at the University of Reading is a highly successful centre with a focus on exceptional levels of service. We establish and manage collaborations with companies and external partners on behalf of the University, working with academic partners to support a variety of income generating initiatives. Within the KTC, the Business Relationship Managers are responsible for managing a portfolio of relationships and developing new collaborations that expand and diversify the economic and societal impact of our research. In addition to managing your own portfolio, each Business Relationship Manager leads on a specific area of the KTC’s activities. You will have the ability to develop and maintain relationships, generate leads, and manage funding applications, with a clear understanding of the current funding landscape for collaborative projects. You will provide excellent levels of service, and work closely with the Senior Business Relationship Manager. 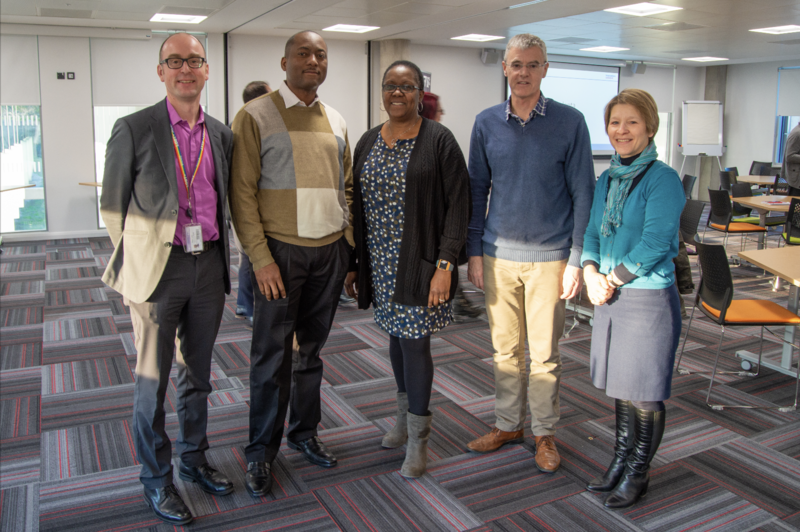 In the Knowledge Transfer Centre, in addition to Knowledge Transfer Partnerships, a government-funded initiative we are more commonly associated with, we also pride ourselves on non-KTP collaborations, helping bring different people and ideas together for a positive impact. We work across multiple themes, collaborating with various companies and individuals both within and outside of the University of Reading, continuing to enforce our goal of knowledge exchange. This can be anything from putting someone in touch with the right people, right the way up to full support in the development of a product or service. One such non-KTP partnership is one we have established with US-based media streaming company, WorldCast Live. We caught up with Peter Lewis and Jacqueline Benton from WorldCast Live to discuss how working with the KTC and with Reading-based business incubation centre, Innovation Catalyst (https://innovationcatalyst.spaces.nexudus.com/en), has helped them grow their business and build their network. How did you first get in contact with the University of Reading? I used a search engine to try and found some local help for the business and the University of Reading was one of the first listings. It was both local and had a great reputation, so I got in touch. You’ve worked closely with the KTC in the early stages of contact, can you walk us through the process? My initial contact resulted in a reply from the KTC almost immediately, soon followed by a meeting in the centre itself. From there, I was given the exact support and guidance I needed for the project to begin developing. They walked me through the entire process from opening a company, identifying and sourcing the support I need, and also pointed me in the direction of Innovation Catalyst. Once you engaged with Innovation Catalyst, how have you benefited from that community, as well as being part of the Barclays Flight Programme? It has been a fantastic benefit; we were at a point where we were almost fumbling around trying to find out what we needed to do to get a start-up company off the ground, but they were able to guide us and provide invaluable advice to help us move forward. They also connected me with other businesses and Barclays Eagle Lab, which has been so helpful for us not only in advising what we need to do next, but also the pitfalls to avoid. It’s been a really fantastic experience. Being based in New York, what are your global plans for the company moving forward? What we’ve learned is that working with brands both in the UK and the US exposes you to different ways of working, allowing us to finetune our software, permitting us to be more agile in our approach, and also it means that we can expand faster because we understand the differences in the markets. It has been a great learning experience from beginning to end, and I have journeyed here several times now, learning new things that I am able to pass on to our IT staff which means we can expand into new areas that we wouldn’t have known or thought about should we have not been part of a collaboration. Where does the Academic expertise come in to help with the service you provide as a business? Because we’re a start-up business, we want to make sure we’re approaching our business plan the right way. We want to ensure we understand the market, we understand the risks, and we understand the technology possibilities and limitations. It also helps us gain an understanding of where does our product fit in the market, how do we compare with competitors, and what do we need to do to grow the business. We have had tremendous support from the university with navigating our way to the next steps. In terms of the relationships you’ve made as a result of working with Innovation Catalyst, are you likely to continue the relationships with the people and businesses you’ve met over the past few months? Yes it will, and we’ve even made some new business relationships today where we’ve managed to agree other collaborations, so there is a huge benefit to each of these workshops not just with the content and the presentations, but the other attendees. You can watch the video of this meeting right here. If you or your business could benefit from a collaboration with the Knowledge Transfer Centre, contact us today to discuss the many opportunities available to you in more detail. How can Academics benefit from getting involved in KTC projects? We caught up with Professor of Computer & Human Interaction Rachel McCrindle to talk awards, awards, research, promotions , and the importance of collaboration. What are the key benefits of working with the KTC in enabling collaboration with partners? There are many benefits of working with the KTC in enabling collaboration with partners, right the way through from the initiation of contacts and helping to prepare proposals, to helping manage projects and promote and market them once they are underway. What’s your motivation behind working with external partners? It’s really important these days to work with external partners. Many projects are multi-disciplinary and in doing those multi-disciplinary projects including multiple stakeholders it brings in various levels and areas of expertise in order to solve key strategic issues. Has the KTC enabled you to work with companies that you might not otherwise have found / been interested in? The knowledge Transfer Centre has been incredibly important in terms of delivering external partnerships, so very often external organisations have gone to the KTC with a problem that needs solving. The expertise they possess means they can find the right Academic, whether that be me or whoever, so that we can work on a solution to that issue and progress with a project. What impacts and benefits have arisen / will arise as a result of the collaboration? The benefits arising from collaborations with external partners are many; partly it’s about a two-way transfer of knowledge, it’s about working on key strategic problems with a real-world impact, and it’s about translating research into the real world. A concern for Academics has previously been raised in that they are not sure if they can still publish when part of KTP. Could you please share your experiences on this? It has been raised at times that it’s difficult to publish; it is possible to do, but it is a slightly different process. For instance, a lot of the material will be commercially confidential and therefore can’t be shared, but by working with the external organisation and discussing this with industry it is still possible to publish in partnership with the company and make sure the work that’s published is ok to be released. So, in answer to your question, it can be slightly more difficult, but it is possible, and you will be offered the right support to know how to go about getting your research out there. How do you go about prioritising your workload when part of a project? Prioritisation of workload is always going to be a challenge for Academics within a university; there are many different pools between research and teaching enterprises and projects both internal and external. I think the key is being organised and carefully managing your time to ensure you’re keeping on top of your workload model, which is something that comes with experience. There is a strong element of scheduling and projection to see what’s coming up and what the key projects will be to ensure that you diarise them accordingly and attempt to conduct them in an efficient, sensible order. Also trying to schedule your time to have a day where you’re free of teaching can really be beneficial when taking part in a project, as you then have a day free to visit the company and spend some time with them. Communication is a key factor with the company to make sure everyone is on the same page, and that is just as important internally as it is externally. Have the collaborations you’ve been involved in influenced your research at all? Have they opened up new areas of research interest? Working with the Knowledge Transfer Centre has been incredibly important in terms of expanding my research. My key research areas have perhaps not changed too much, but the domains in which I have applied that research has expanded enormously. I have worked with education companies, broadcasting companies, manufacturing companies, health companies: a huge number of organisations across the whole spectrum who have been both incredibly interesting and state of the art. It’s hugely rewarding to see the work that we’ve been doing within the University being applied in the ‘real world’. What are the key challenges to be mindful of when working with companies? How did you overcome them? With any of the challenges we face when part of a collaboration it’s important to remember that everyone has different priorities, different pressures, and occasionally different languages in terms of Academia vs. industry. The key thing is to be very mindful on both sides that there are often competing priorities for people’s time, and that those priorities are completely subject to change quite rapidly, so there needs to be a degree of flexibility and understanding. I think most importantly the key thing is to establish a strong team ethic and determine how the team can best work together. I’ve been involved with many projects now and every project and every team are slightly different, but at the centre of it all communication is the key, so providing a high standard of communication and trust with each partner should help overcome any challenges. It’s also important to remember to have fun; the biggest challenge is the project itself and trying to find a solution to a problem, so you have to step back sometimes and enjoy the work you’re doing and the impact it’s ultimately going to have. Have the projects you’ve been involved with helped you develop any specific teaching materials, or realise any teaching and learning benefits? Working with industry and external organisations has been incredibly useful for developing additional teaching material and enhancing the student experience. There are many ways in which our collaborators have helped us with this, including enabling us to develop case studies of the work that we’ve done, and reinforcing the research that we’re carrying out at the University of Reading to show how that it’s applicable in the real world, enriching lectures with examples. On occasion the projects that I’ve been involved with have resulted in the company physically coming in and giving a lecture, or running and sponsoring hackathons for the students, giving them some extra experience outside of the classroom. Working with the Knowledge Transfer Centre and taking part in projects has been a richly rewarding experience throughout for myself and my students. How has the KTC been able to help you? There have been many ways in which the KTC at the University of Reading has helped me individually. They have helped me find external collaborators, put proposals together, and they have helped me structure strong and effective teams. Many of the projects have been multi-disciplinary so the KTC have been able to bring other people from around the University to the team that I may not have known about or had access to. 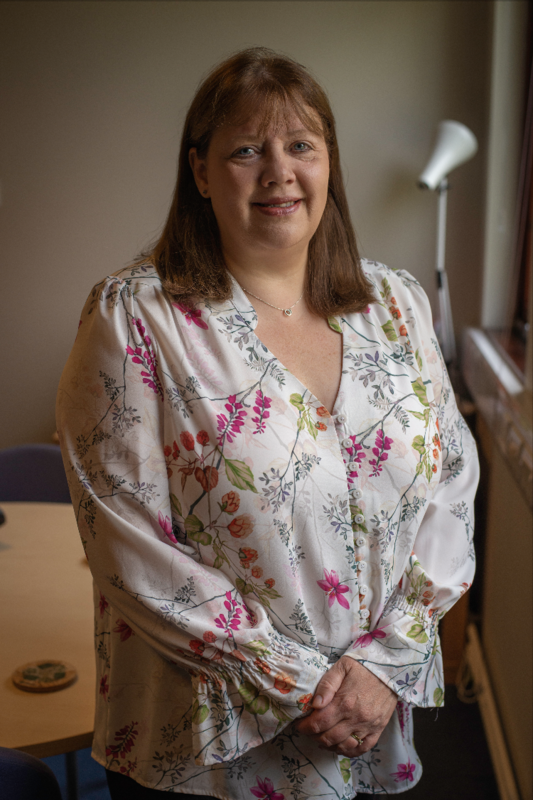 The KTC have also been able to help me with the whole recruitment process, they have helped me get the right Associate/staff on board, and they’ve also helped me with the accounting process so that I can concentrate on the project and the research side of things. Working with the KTC has also vastly increased my visibility within the University, and in having done that has helped me with my promotion to Professor and also put me in a position to win the awards I been presented with. And lastly, why should other Academics consider working with the Knowledge Transfer Centre? I would strongly encourage other Academics to work with the Knowledge Transfer Centre. The opportunities that can be opened up there are amazing, and once the centre knows you and the areas you’re interested in, you are exposed to so many different avenues for your work to be applied, and again working with them helped with my promotion to Professor and the winning of various awards. The KTC staff are so incredibly supportive and showcase such a huge breadth of knowledge, offering great advice and direction, and nothing is ever too much trouble for them. We’re lucky at Reading to have such an excellent Knowledge Transfer Centre; it’s the best centre in the country.